What Are We Advancing To? We are witness to increasingly fantastic advances in medicine, science, and technology and, in many areas, the progress is real and practical. From what I understand, we are making significant progress in the area of cancer. Many types of cancer that would have been deadly just twenty years ago are now being effectively treated. Surpassing even our ability to clone a sheep, the most conspicuous advance of our day seems to be the unlocking of the human genome. There is great fanfare surrounding this achievement. It is hoped that this latest advance will ultimately be the key to curing any and all diseases. I am amazed to learn that it may even guide us to re-growing parts of the human. Surely all of this is encouraging news, but with the rapidity and fanfare surrounding these achievements, I sometimes wonder what is at the end of the tunnel, what are we advancing to, what is it that we are hoping for? Perhaps underneath the excitement of each breakthrough, each of us is secretly hoping, deep within our psyches, that we and our loved ones will live forever and in a physical condition that is free from illness and pain. Our ever-increasing facility to play with and manipulate our genes is opening up the door for creating superhumans. Several years ago I got caught up in the pre-fight buildup to a contest between boxers Floyd Mayweather Jr and Miguel Cotto. I read with great interest the opinions and analyses leading up to the fight. I recall one commentator pointing out that Mayweather was gifted with incredible hand speed. I thought it was very fortunate for him to be born with incredible hand speed, and how unlucky for those who dream of being great boxers but lack the necessary physical gifts, such as incredible hand speed, that prevent them from being anything but mediocre or, perhaps, only very good. Our amazingly fruitful foray into the human genome, however, seems poised to democratize this iniquity. Soon, we will locate the gene for hand speed and be able to change or manipulate it so that people wishing for greater hand speed may purchase it from hospitals or companies in the business of selling and marketing it. But this is only the beginning. Eventually, I am sure we will be able to mix and match our genes with other species. It is one thing to have the fastest possible human hand speed, but why not look to other life forms to achieve even greater hand speed? 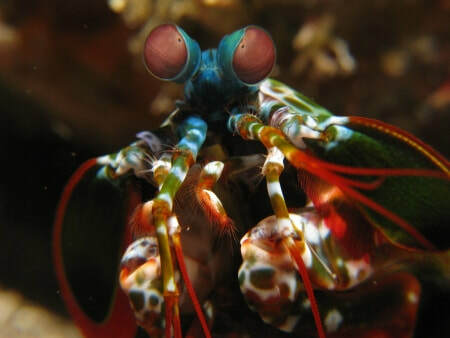 I read somewhere that the mantis shrimp has one of the fastest strikes of any creature, striking its prey with astonishing speed — a speed that would greatly benefit a boxer. For sports enthusiasts and other record-keeper types who enjoy bandying about such phrases as “the greatest” and “the fastest”, however, there will usher in a period of great confusion. We have seen the precursor to this in the not-so-distant past with the asterisk controversy surrounding the baseball players Jose Canseco, Mark McGwire, and Sammy Sosa, all of whom broke records while allegedly using steroids. As you might recall, there were three camps: some wanted the players’ names erased from any of the record books, some wanted an asterisk next to the names indicating they broke a record while taking steroids, and some wanted the names in the record books without an asterisk or note of any sort. No one, mind you, was arguing that players like Jose Canseco were not human any more, but many were arguing that their playing was definitely enhanced through the use of steroids. Now imagine Jose Canseco with the DNA of a mantis shrimp. What to do?! A separate league, perhaps, for Human-Shrimp life-forms? A double asterisk? Abandonment of phrases such as “greatest” or “fastest”? The movie Gattaca explores this very notion of the superhuman, but it gives value to and asserts the power of the human spirit. We all love a Rocky story. So, you’re past your prime, and maybe your hand speed was never that good, but look at what the human spirit can do! I would urge those in favor of asterisks for steroid use to also consider asterisks for human spirit. In Rocky II, When Adrian tells Rocky to “Win. Win”, can we not say that he was given an advantage? If this were real life, there would need to be an asterisk next to his name so future generations would know that he probably won because he was riding an emotional high. So-called primitive cultures are immune to a great many of the scientific and medical advances that the modern society has to offer. I watch with great interest the documentaries concerning their daily lives, customs, and rituals. Many of them smile and seem content and happy. In one episode, in fact, primitive children were smiling and playing. Given their backward condition, given the fact that they can not clone a pig, send an email, or grow a finger, these primitive peoples, like a probing stick in our ribs, annoyingly remind us that humanity may thrive and be happy without the latest digital camera or even the genome project, and we are left to ask, How is this possible?